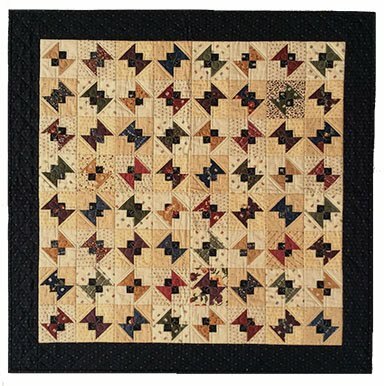 Find the instructions for Roman Cross HERE on Brigitte's blog. 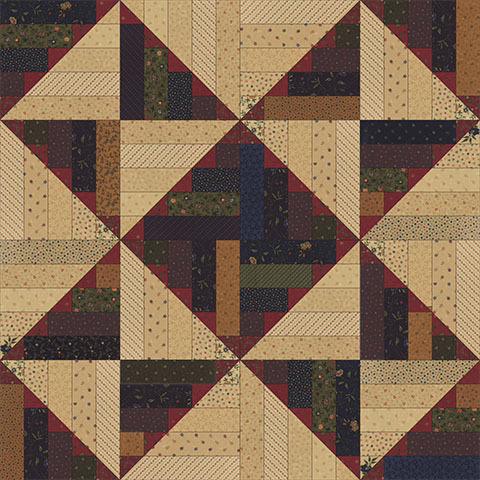 Find all the blocks to date HERE on Moda's blog. Visit all the other Blockheads II designers, too, to see what they're doing this week. Don't miss our KT giveaway at the bottom of this page. 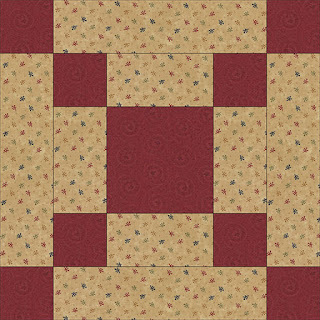 Want to win an 8-pack of assorted KT reds/tans/navy fat 1/4's to use in your Blockheads II blocks? Comment here about your color plan, or favorite colorway you've seen so far on FB. I'll pick a winner next Wednesday. Hopefully, we have all the kinks worked out of the links to the Blockheads II instructions. If you're like me, technology is a challenge, even on a good day when the computer fairies are smiling down and singing about fast internet. Sorry for any inconvenience. I believe Moda has updated the links so everything will work smoothly from now on. If you run into any issues, please let us know so we can fix it right away. Just in case, I've included Blocks #1 and #2 here, also. You may also go to the Moda Directory for all the Blockheads II blocks to date. I'm going with a red/tan/blue theme throughout this series, plus a KT option, so here are my blocks. I'm working on several red/tan/blue projects right now, so I have piles of scraps everywhere. I've enjoyed playing with the Blockheads II blocks in a planned color palette. Find the instructions for Pennsylvania below. Sign up to get all the latest KT news, giveaways and special sales events right here each week, along with the Blockheads II links. Have a great week. 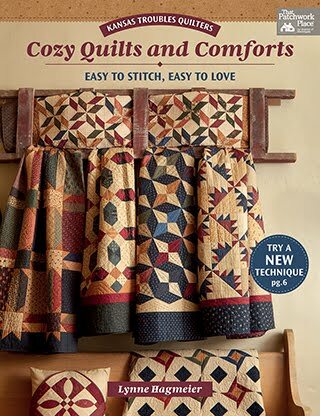 Stay cool and sew. 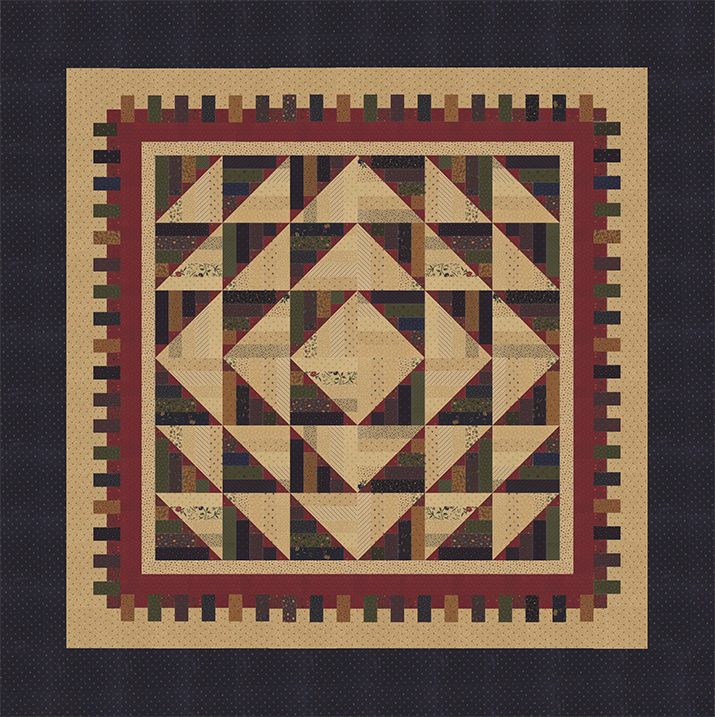 It's Week #2 of the new Moda Blockheads II Block-of-the-Week. I hope you're following along with us on this 48-week journey. 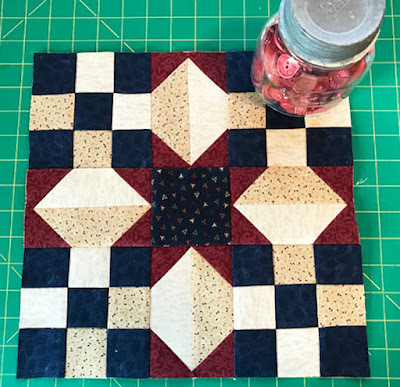 Thirteen Moda designers are contributing blocks each Wednesday - 6", some 12" and a few 18" - for a fun variety of sizes to create a delightful lap quilt. I can't wait to see all the ways you'll combine colors and prints to make each block your own. Click HERE for the link to the Me & My Sister blog with the block instructions for Block #2 - Buckeye Beauty by Barb. I'm sure her block will be as bright & bubbly as her! For those of you that prefer "the dark side", here's my red/tan/blue block, plus a scrappy KT version. Joy has had alot of calls at the shop for both options, so I'll try to do one of each. 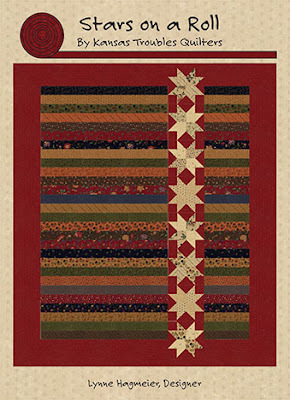 FYI: I just dug thru my stash and pulled a bunch of reds & blues for fat quarter bundles. 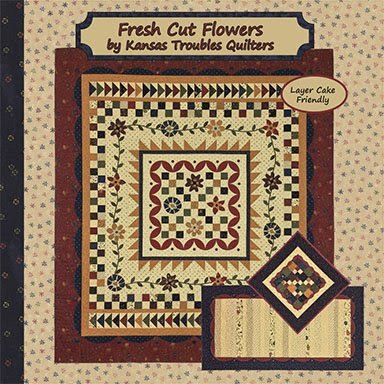 If you're interested in some "vintage" KTQ fat quarters, call the store. They won't last long! 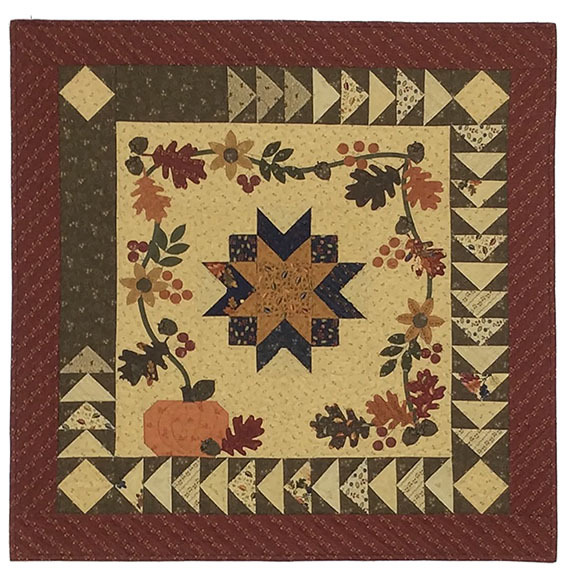 Join the fun at the Moda Blockheads II Facebook page HERE for weekly updates and quilter's blocks from all over the world. Did you miss Block #1? 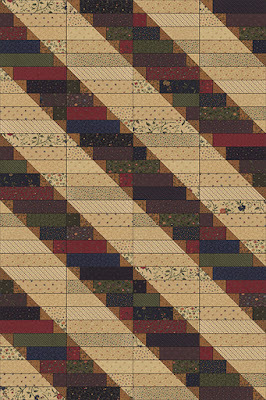 For the Moda Blockheads II Directory of all the blocks posted to date, go HERE. Here's a list of all the Moda designers participating in Blockheads II. Be sure to visit their blogs for weekly updates. 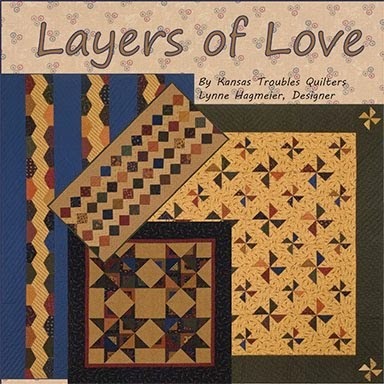 Renea -I really have a hard time making guy quilts. I tend to go to darker colors or homespuns. 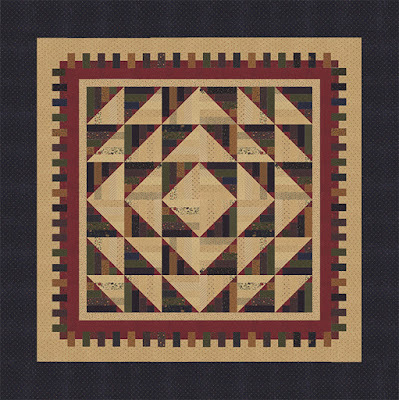 Would love to have some great examples of guy quilts. Thanks for the giveaway. 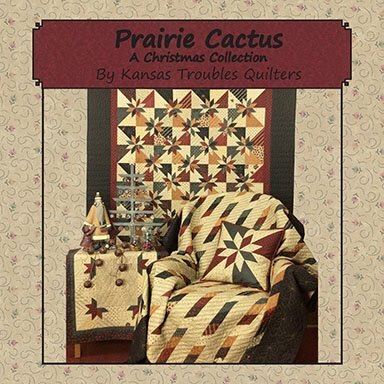 Thanks to all of you who commented about your experiences finding the perfect fabric/pattern for guy quilts. I'll have another good option in a couple weeks, so stay tuned. Is there anything on your mind you'd like to see here? Questions for me? 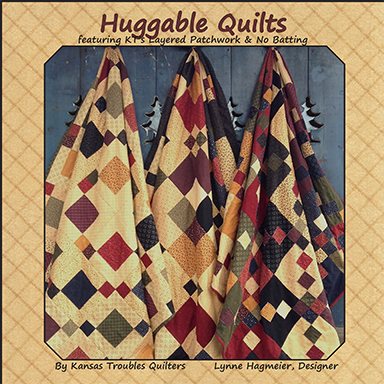 Or for the quilting ladies who hang out here? I'd love to hear your suggestions. I'm traveling & teaching this week in Winfield and and Wichita, Kansas. Pretty close to home, but a fun break from the regular work routine. My grandaughter, Aleece, will be helping with the normal "Robert duties" like unloading the car, holding up quilts and writing up invoices. She's great with the quilters and it's helping her earn money toward a class trip to Washington, DC next school year. 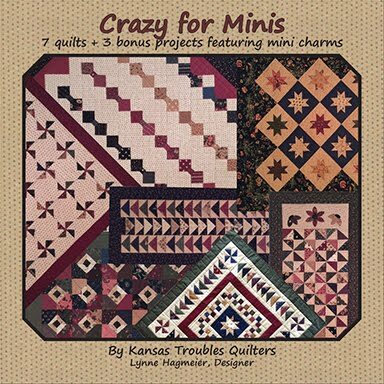 In Winfield, I'll be teaching my Mini Table Treats workshop on Monday, June 11 in the afternoon with a trunk show for their guild meeting in the evening. 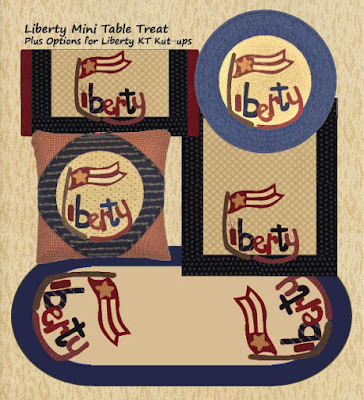 The Liberty MTT is just one of the options available using our KT Kut-ups precut fusible appliques. It's so fast & easy, they'll have their project ready for the 4th of July - this year! 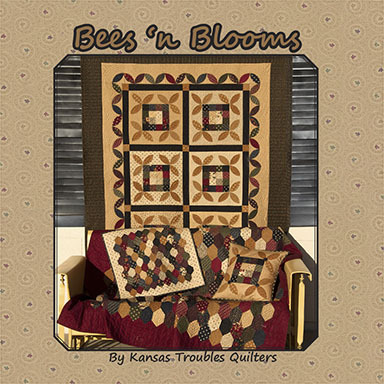 We'll be going on to the Prairie Quilt Guild in Wichita on Tuesday, June 12 for two guild meetings, and a workshop on Wednesday. 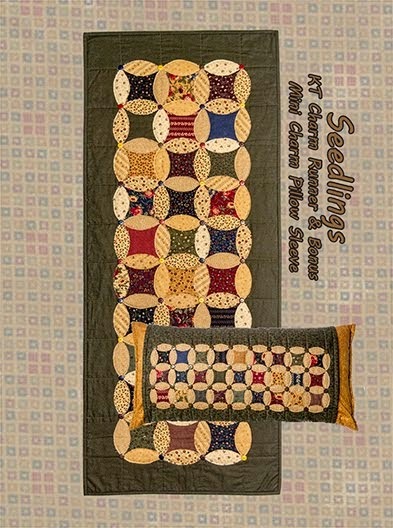 They've chosen to try out my Layered Patchwork technique in the Stacked Coins quilt from my Loose Change book. A Layer Cake, charm and mini charm are stacked, stitched and cut for my take on a simplified spool block. With so many precuts out there, I love all the possibilities! Join me for one these trunk shows, if you're close. 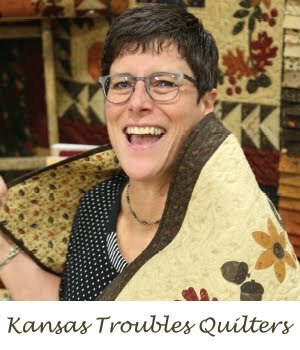 Let's talk about me visiting your quilt guild, if you're not. I have a few openings for 2019-2020. Now is the time to plan. 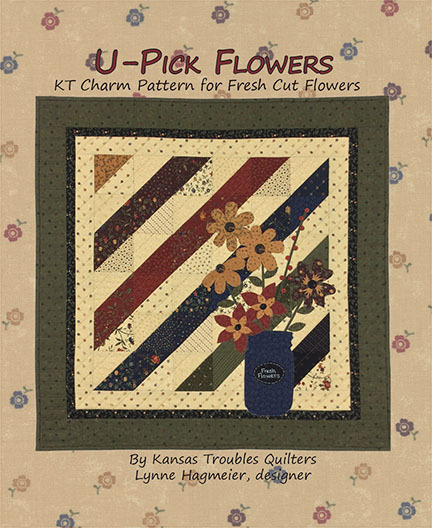 Comment here to win a MTT pattern & Kut-ups of your choice! Click HERE for all the options. If you followed Blockheads, thanks for hanging out with us for 48 weeks. If you're just joining us, I'm so glad you're here! Be sure to sign up for the Blockheads II Facebook group to keep up with all the latest happenings, including blocks posted by the participants. 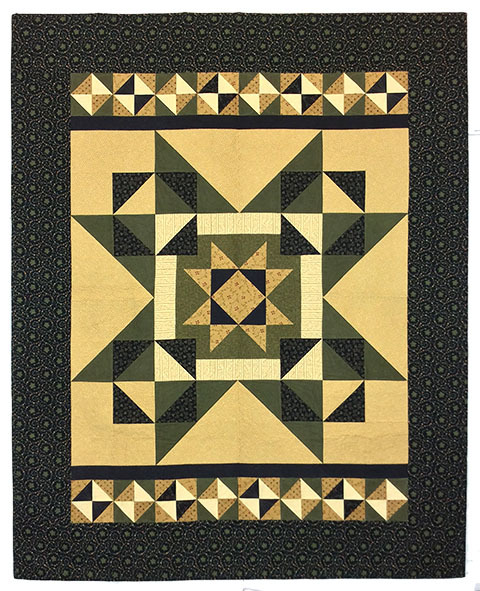 It was so fun to see everyone's fabric choices and finished blocks each week. I can't wait to get started again. 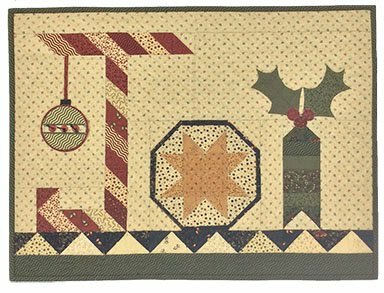 For Blockheads Round 2, each of the original 6 designers - Lisa Bongean, Jo Morton, Betsy Chutchian, Jan Patek and Carrie Nelson and I - invited another Moda designer to come play with us. Adding more designers means even more interesting blocks with lots of color options. 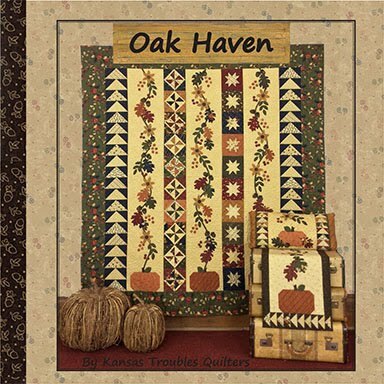 I invited my Moda friends, Barb and Mary, from Me & My Sister Designs. 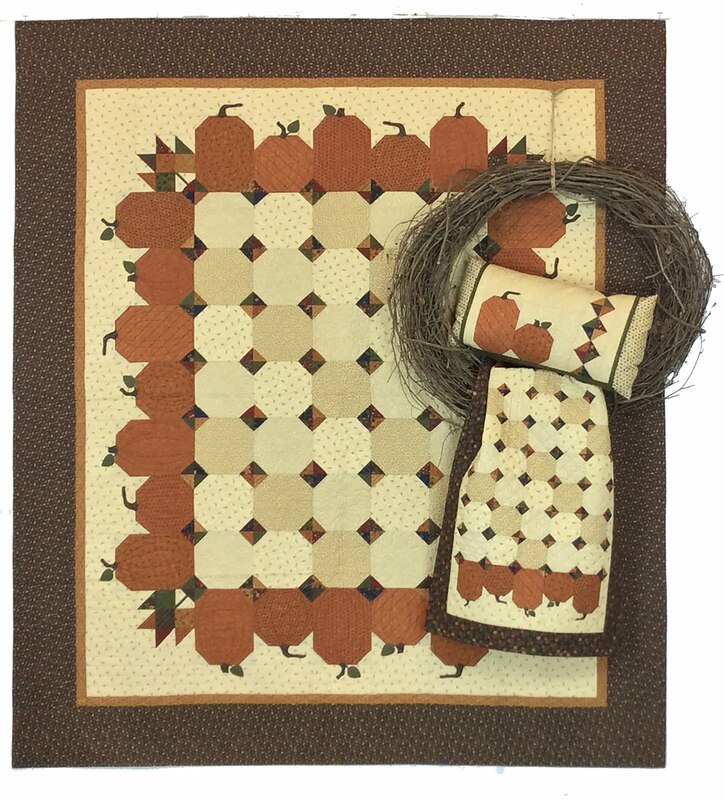 These two sisters are always entertaining and turn their adorable Moda fabrics into simply delightful quilts. Follow them on their blog HERE. Where do I find the blocks each week? 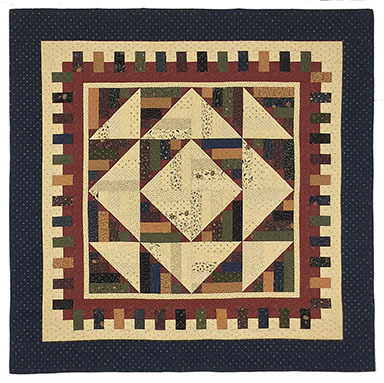 To find the designer's block each week on Wednesday, go to Moda's blog and click on the link for that week's block and lots of information on Blockheads II. Over the next few weeks, you'll meet all the Blockhead II designers and see their first block. What size are the blocks? 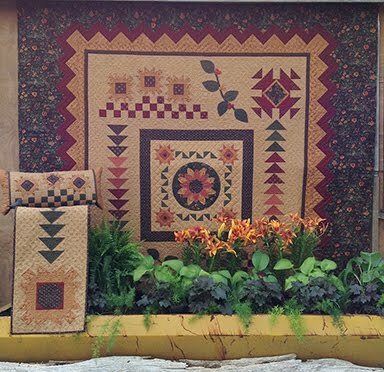 Over the coming 48 weeks, there will blocks from 13 designers in 3 sizes - 6", 12" and 18". Moda has already formatted a quilt layout using all the blocks (more on that to come). I offered instructions using my Layered Patchwork technique for most of the first Blockheads series, but this time, I'll be following along with you, making a block a week using traditional piecing methods with a few of Jan's applique blocks thrown in for fun. 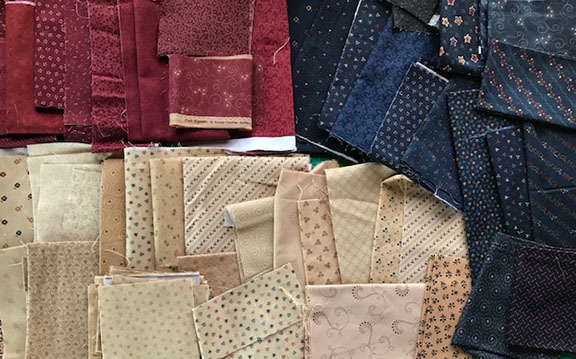 What fabric will I be using? 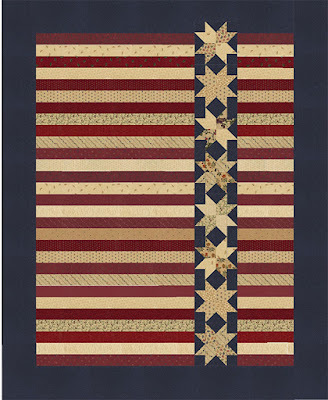 I have summer fun and the 4th of July on my mind lately since I'm designing a red/tan/blue quilt, editing the pattern for another, and piecing one just for me. 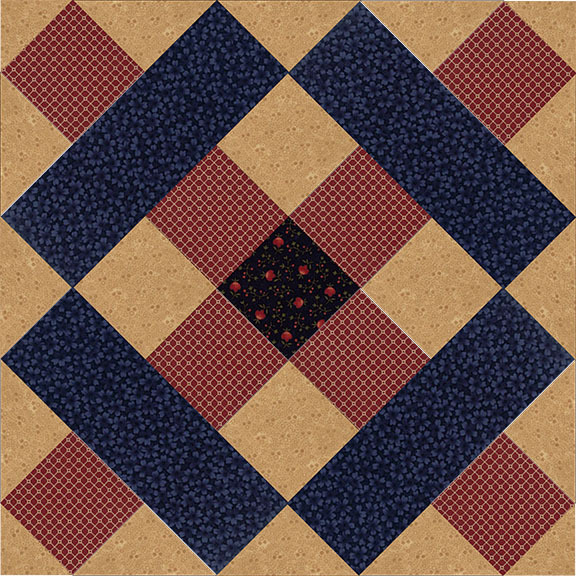 After spending time digging thru my scraps for an assortment of reds, tans and blues, I decided to go with that color scheme for the Blockheads II quilt, too. KT reds, tans and navys for Blockheads II. 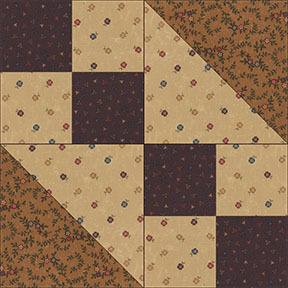 If you need to add to your stash for Blockheads II, we have a good selection of fat 1/4's in color packs of 8. I like that the different reds or greens or tans are pulled from a variety of KT fabric collections for a scrappier quilt. Find them HERE. 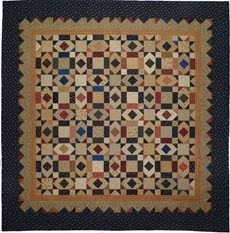 My birthday is July 5th, so I make myself a red/tan/blue quilt (or small project) each year to celebrate. 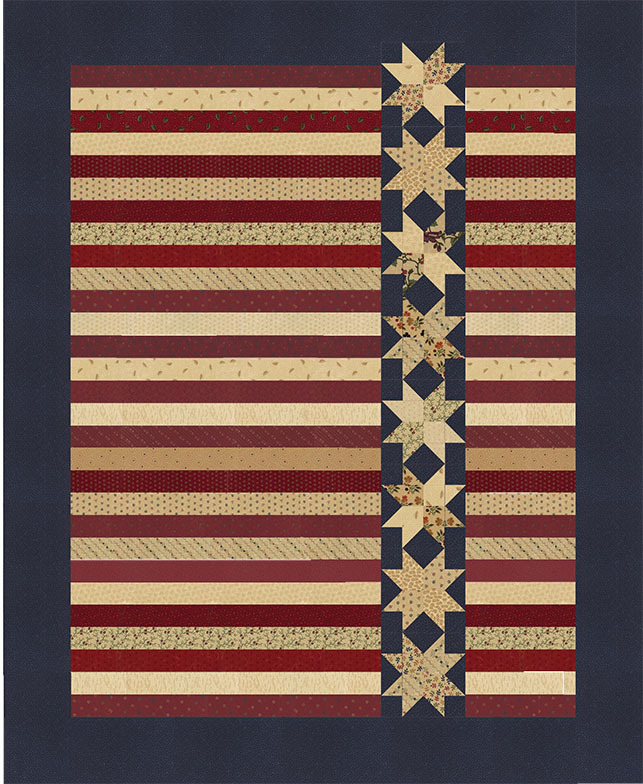 This year, I'm making a patriotic version of my new pattern, Stars on a Roll. 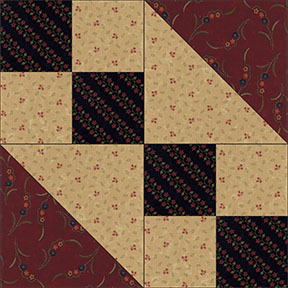 The original design features a Nature's Glory Jelly Roll plus one red fabric. 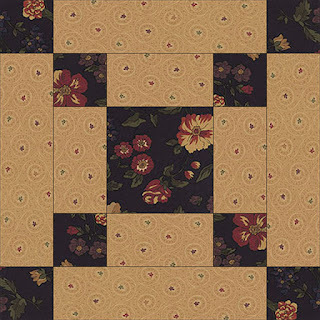 That's all you need to whip up a simply divine quilt in about 8-10 hours. Nature's Glory and the Stars on a Roll pattern will both be coming to a quilt shop near you in September. 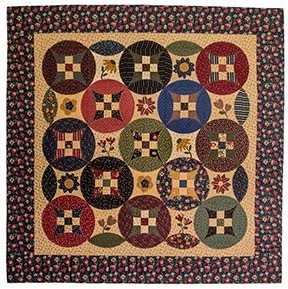 Lap quilt features a Jelly Roll plus 1 fabric. 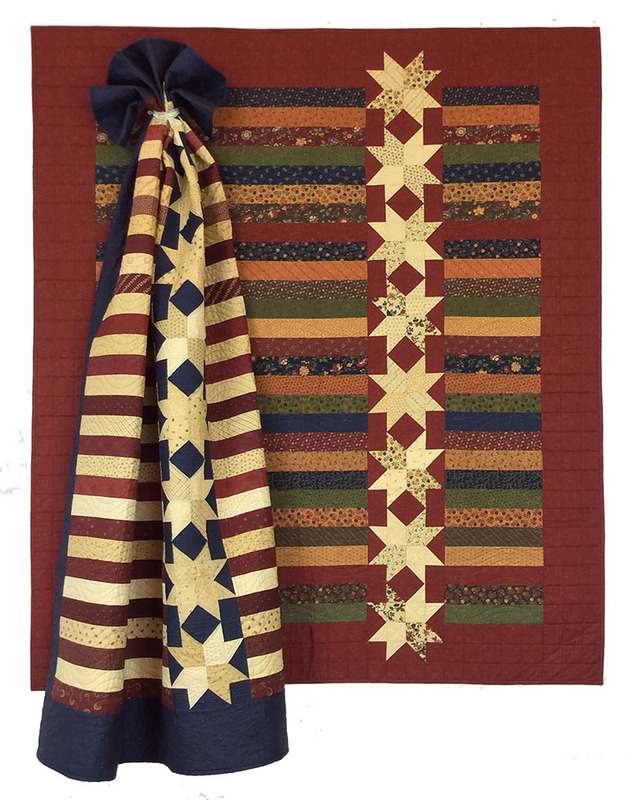 Red/Tan/Blue option in Stars on a Roll pattern. 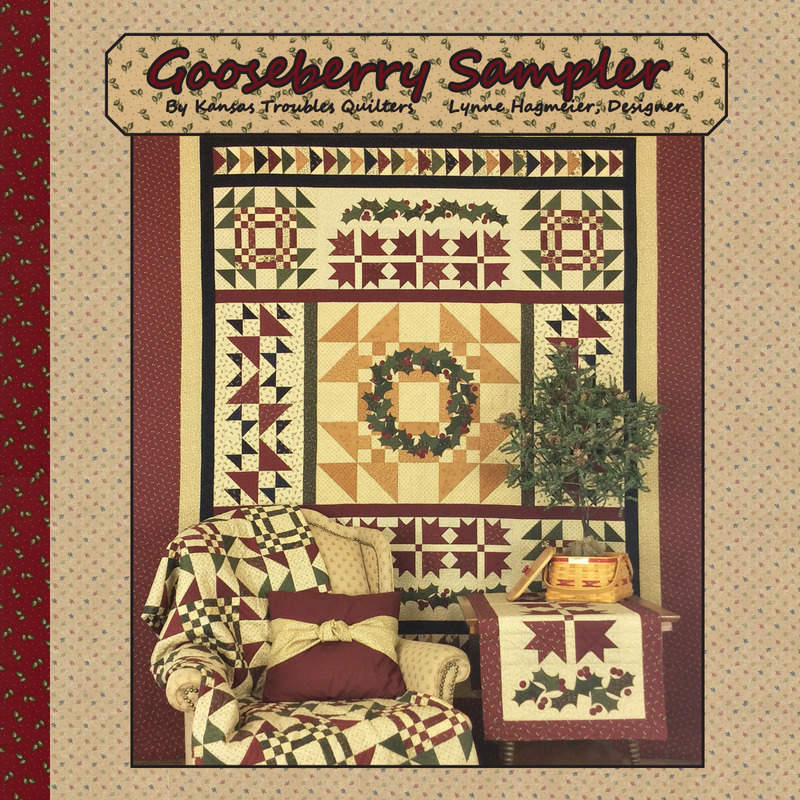 So, finally, (insert drum roll), here's what you've been waiting for - (click on the link below for pattern). 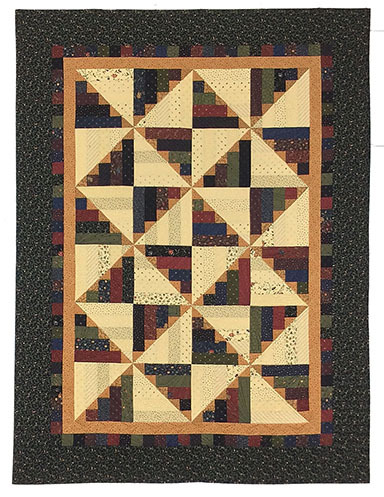 Follow piecing directions on pattern HERE. Thanks again for making this journey with us. See you next Wednesday! Allison - B eautiful quilt! It makes me think of the fall migration of birds here in eastern PA. There are times under a starry sky that you can see them. The full moon reflects off of them. It really is beautiful. So I'm thinking Starry Migration might be a good name.Oops...I meant Starlit Migration. 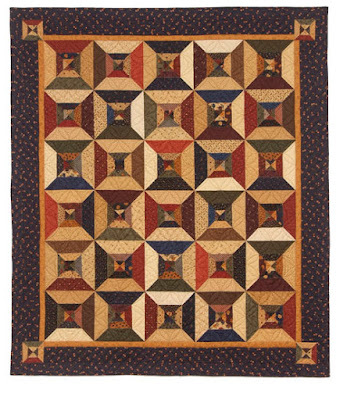 I like both options, Allison, so will be choosing one or the other for the cruise quilt. 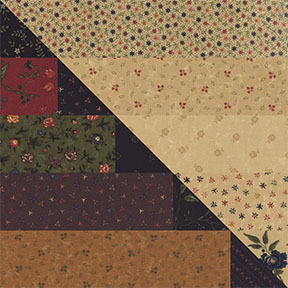 Please send your mailing address to lynne@ktquilts.com and Robert will send your Nature's Glory Layer Cake right out. Thanks to everyone who submitted name options. 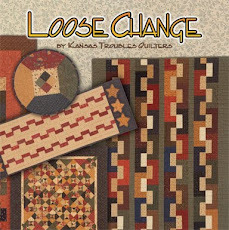 So many great names for quilts! I'm saving every one for the future. 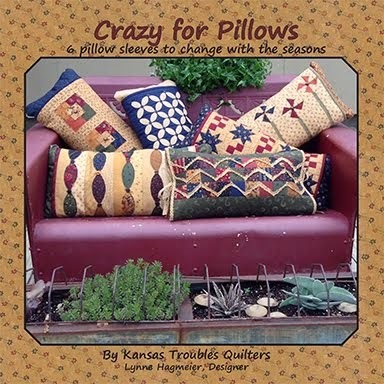 If I use one of the names you offered, I'll be sure to let you know and send you the pattern/booklet you named. Another month has rolled over on the calendar. Here in Kansas, after waiting forever for spring to arrive, we're sweating in summer temperatures already. Today's heat index forecast is 106! A good day to stay in and sew. BTW - I'm working on my Blockheads II blocks. The new series begins in just a week on June 6th with one of my blocks. 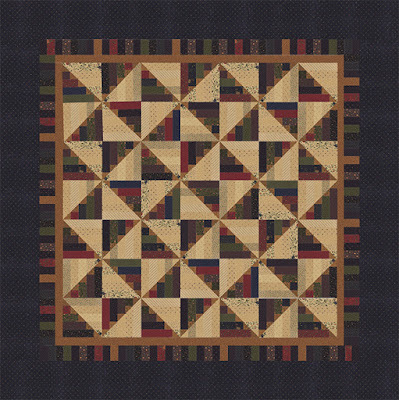 I can't wait to start another Blockheads quilt! Okay, back to the June Special. 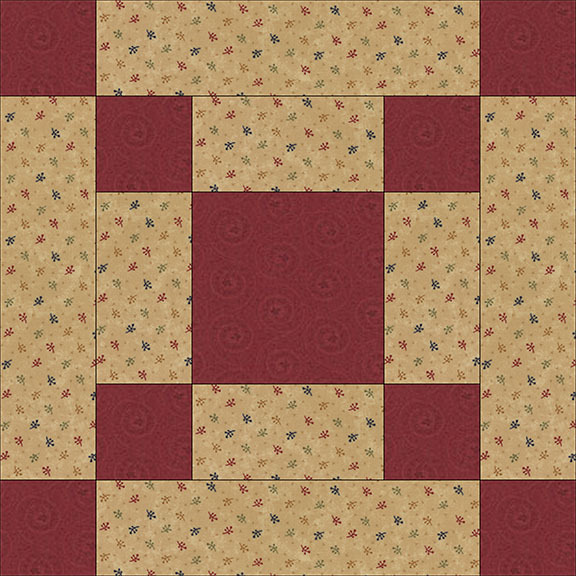 I wanted to make a quick and easy log cabin style block that could be formatted in just as many ways as a traditional log cabin, but easier to piece - with a twist. This is the result. So many ways to use the block to piece a stunning quilt for the men (or anyone) on your list. 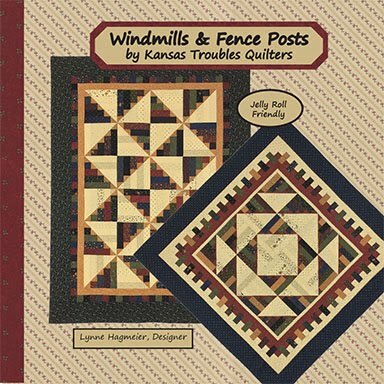 Click HERE to find the KT June Special and order your KT Jelly Roll and Windmills and Fence Posts booklet now! Comment to win our June Special. Do you find it harder to find quilts that are suitable for guys? Or is it all about the fabric choices? See you next week for the first installment of Blockheads II. Join our Facebook group and don't miss a thing!